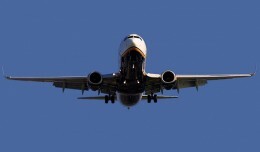 Skyrocketing fuel costs will likely lead to several airline mergers this year. Unfortunately for fliers and shareholders, the history of airline mergers contains few positive notes. Photographer Tom Alfano recently reached the 1,000 accepted photos milestone on JetPhotos.net. He reflects on the great experiences he's had and the friends he's made along the way. Who is to blame for air traffic delays? Just about everyone in the industry, from the airlines to the FAA. As ATA announces plans to terminate their New York LaGuardia service, one spotter looks back at the fond memories of spotting his favorite airline.